Medical Devices International » Everything you need for scarless beautification. Serdev® Needles. Surgical Threads. Serdev Courses & Books. Mini-invasive cosmetic surgery AND durable results? Yes, it possible! All products are available in our online store! With our products and techniques at hand, the only missing link for true atraumatic, scarless cosmetic surgery and medicine is... you.
! Trade mark and design protected ! Want to learn tips and tricks from Dr. Serdev himself? Then read on! Introductory 1-day Courses or "hands-on" training? Depending on your time, finances, and willingness to advance, you can choose between introductory one-day course in Sofia, Bulgaria or step-by-step, hands-on training course in your clinic . Testimonials about Dr. Serdev and Serdev Sutures® Lifting Techniques. 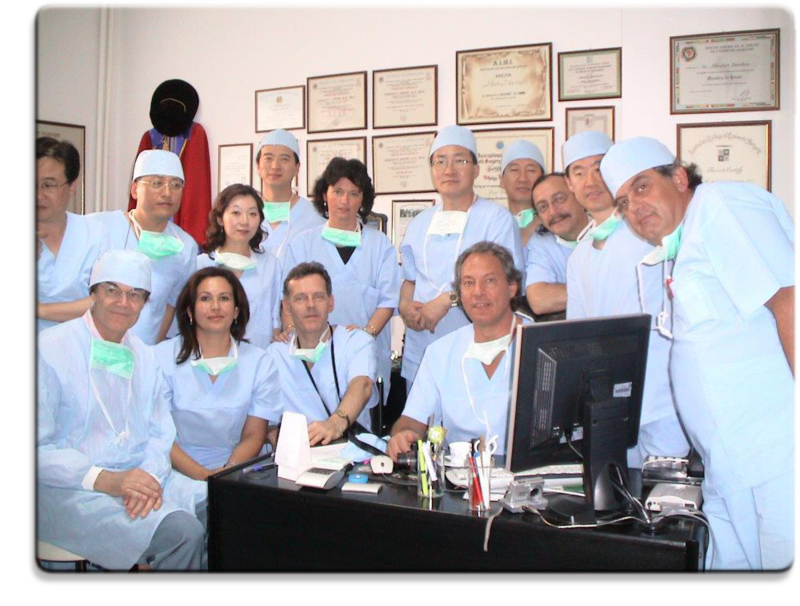 Dr. Serdev is a top-cosmetic surgeon and he is well known all-over the world. He made many contributions, especially his work with the slings to rejuvenate the face, the breast, the buttock, even the inner thigh. It is a big advance, because we avoid scarring and you can have ambulatory operations. I am using Dr. Serdev’s techniques very frequently . I have very good results, and great satisfaction from my patients. I consider these techniques a very important step forward for cosmetic surgery. I may say that at this moment cosmetic surgeons all over the world are using Dr. Serdev’s techniques. You can use only 3 skin punctures to achieve good results, without scars. I sincerely thank my friend Prof. Dr. Nikolay Serdev for this genius idea. Questions regarding our Serdev products. Q: How long does it take for the sutures to be fully absorbed? A: The surgical sutures are absorbed after the final fibrosis formation. Depending on the thickness and presence of knots, the full absorption is completed in 2-3 years time. Q: Why is the needle curve elastic? A: The short elasticity of the needle curve assures that, regardless of the applied pressure, it will not break while inside the tissues. The retained structural memory returns the curve to its original position and ensures the longevity of the Serdev® Needle. Q: Are the surgical sutures sterile? A: Yes, the are sterile. This is a single use product, re-sterilization is not recommended.